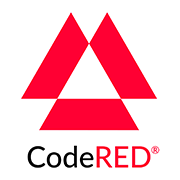 LaMoure County has invested in Emergency Preparedness with CodeRED. You will receive a telephone call and even have the opportunity for an email notice when there is critical information for residents in LaMoure County. With this system, you can also sign up for TEXT notifications! This system, combined with other emergency alert methods, is designed to get emergency messages to you the public, quickly and effectively. To receive weather alerts, please click on the link below and you will be directed to CodeRED to enter your information. If you entered your information in the previous system, you do not need to reenter it yet you may want to review it for accuracy. We maintain an update database of all land line telephone numbers registered in LaMoure County. Feel free to list any additional land line phone numbers, however we are most interested in gathering cell phone numbers and email addresses. If you have a LaMoure County address, please provide it in the Street Address field, in the event of a localized emergency your local address will integrate with the notification systems mapping capabilities.